Our church will be offering a 4-week Advent Bible Study, beginning on Sunday, November 30th. Details about the program are listed below. If anyone is interested in participating, please contact Pastor Trudy or leave a message on the church phone. This thematic Bible study is designed to be used by individuals and small groups during the Advent season. 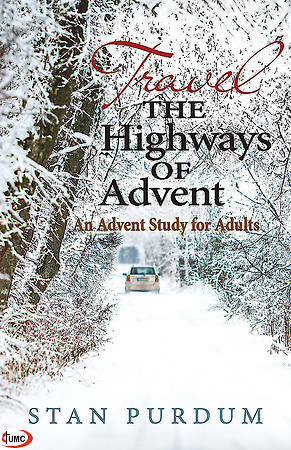 The book, written by Stan Purdum, is based on the particular pathways to Jesus during Advent. In addition to the main content, each chapter offers questions for reflection and discussion, a brief prayer, and a focus for the week. The focus emerges from the chapter content and encourages the readers to engage in spiritual practice or do something specific that will help them grow in faith. On the whole, this thematic seasonal Bible study series is designed for transformation and for applying the study of the Bible to everyday, practical life experience. It is intended to nurture and encourage faith development and spiritual growth.